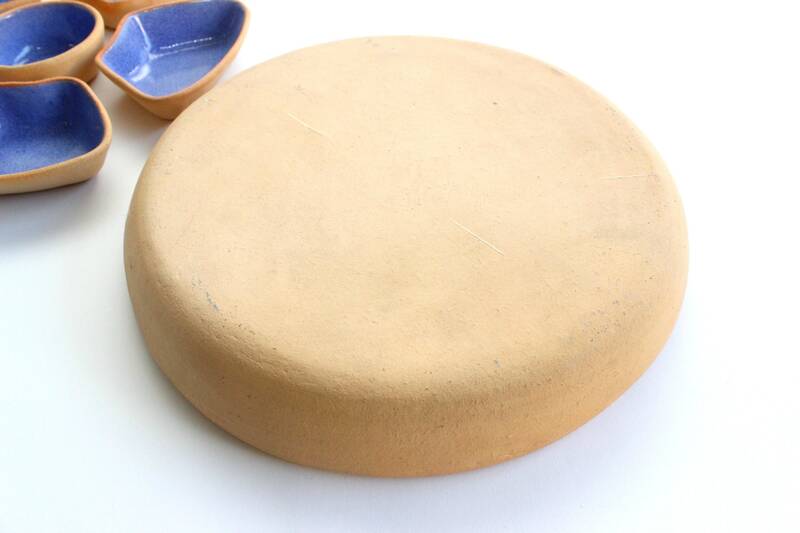 Vintage stoneware snack and dip serving dish. 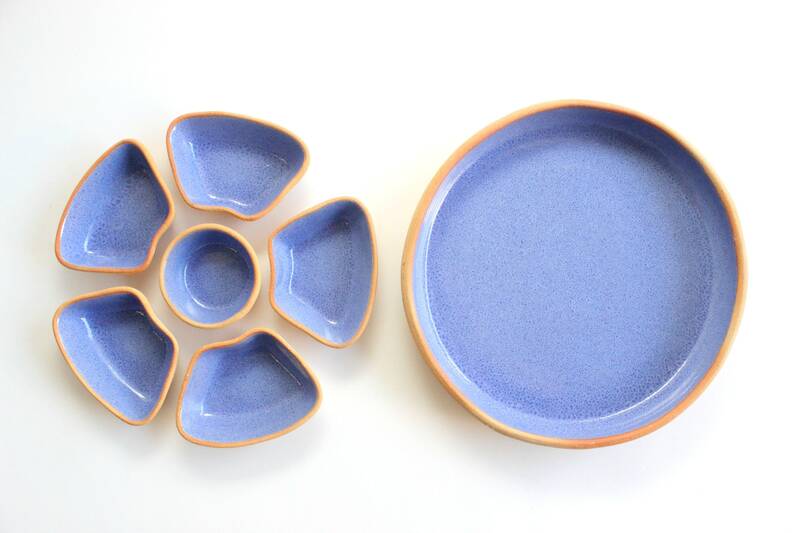 7 piece serving set includes: 1 large bowl, 5 small snack bowls and 1 dip bowl. 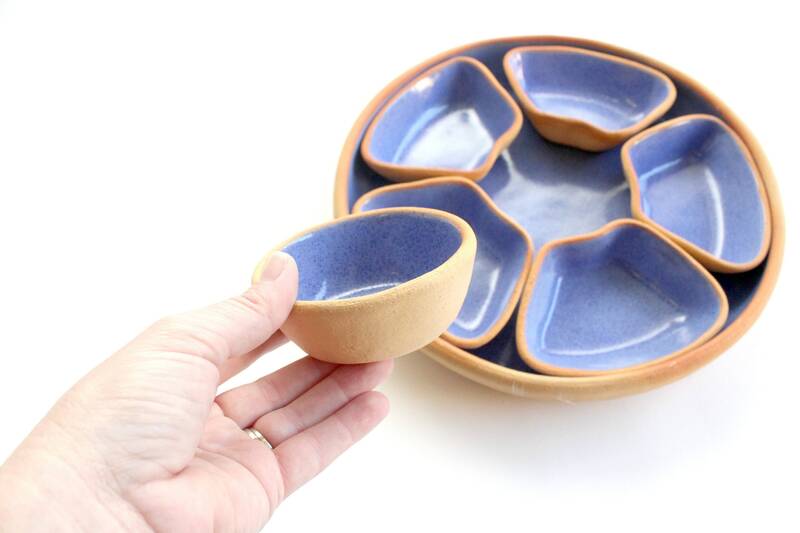 All the smaller dishes fit inside the large dish. 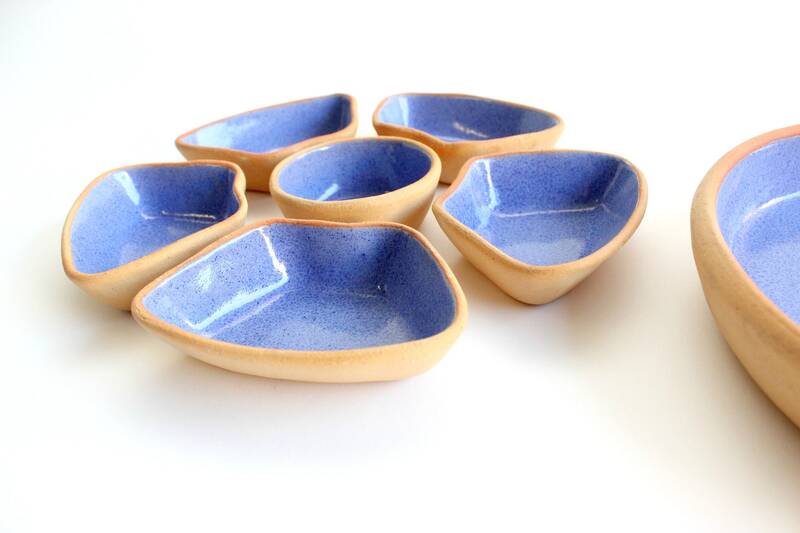 The outside of the bowls are unfinished and the inside has a pretty blue glaze. Made in Mexico. No markings on bottom. Good vintage/used condition. Very clean and ready for use! 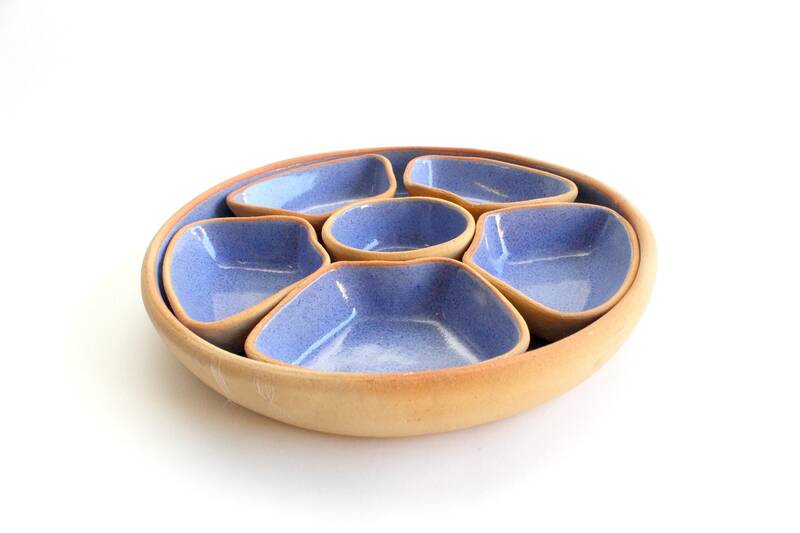 Larger dish measures 11 inches wide and 1.75 inches tall. 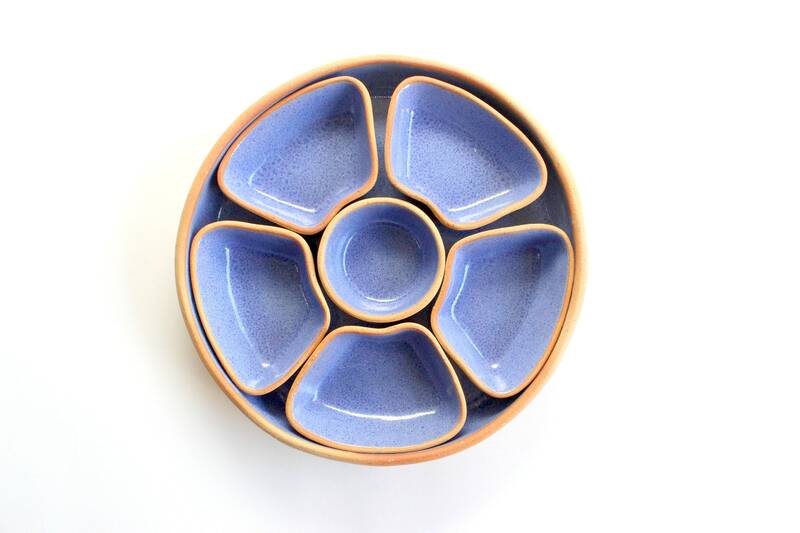 All smaller dishes fit inside.